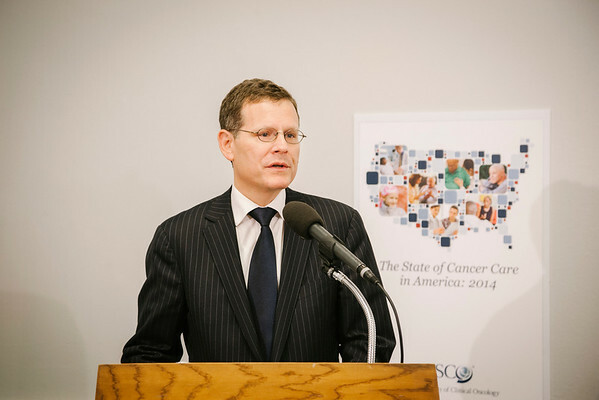 ASCO released The State of Cancer Care in America: 2014, the first-ever comprehensive examination of threats facing the U.S. cancer care delivery system, at a Congressional briefing on Tuesday, March 11, 2014. Dr. Clifford Hudis speaks at a briefing on Capitol Hill on Tuesday, March 11, 2014. ASCO released The State of Cancer in America: 2014, a first-ever, comprehensive report on profound changes and trends impacting cancer care in the United States.